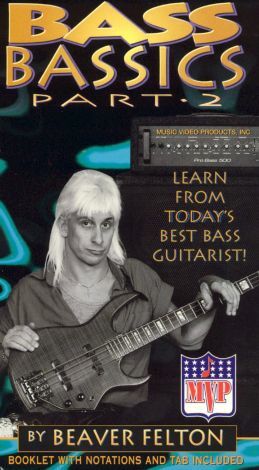 From Warner Home Video, this basic step program to mastering the bass is the second volume in this collection. The tape deals with the beginning concepts of conquering this four-string electric guitar that was invented by Leo Fender as a modification to the traditional acoustic bass, which was not loud enough to be heard above the other instruments. The initial training frets with such techniques as simple tuning to churning out a 12-bar bass line groove. For the more advanced instruction there is a look at "slapping" and "popping" and the creation of rhythmic sound that is the background beat to all great music.